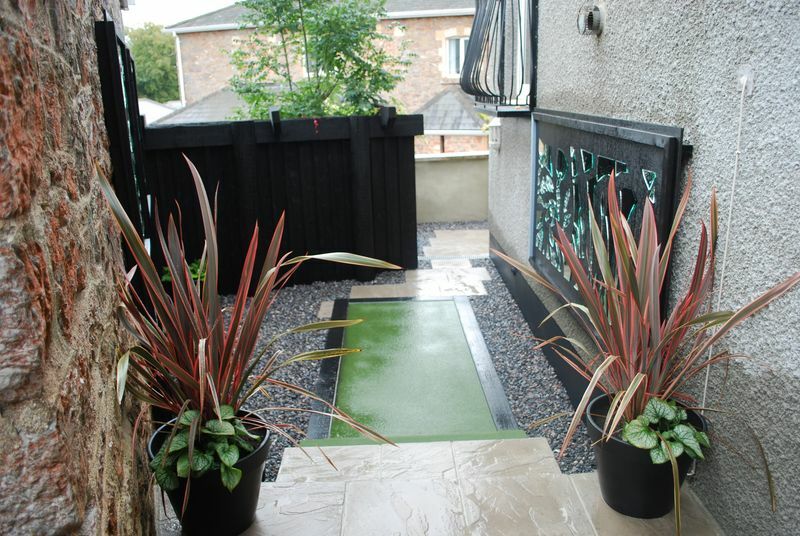 We design and install artificial fake grass lawns in gardens and landscapes throughout Devon that look so realalistic, it’s difficult to tell the difference!! Perfect for hayfever sufferers, people with second homes, pets and even elderly people who find it difficult maintaining their lawn. 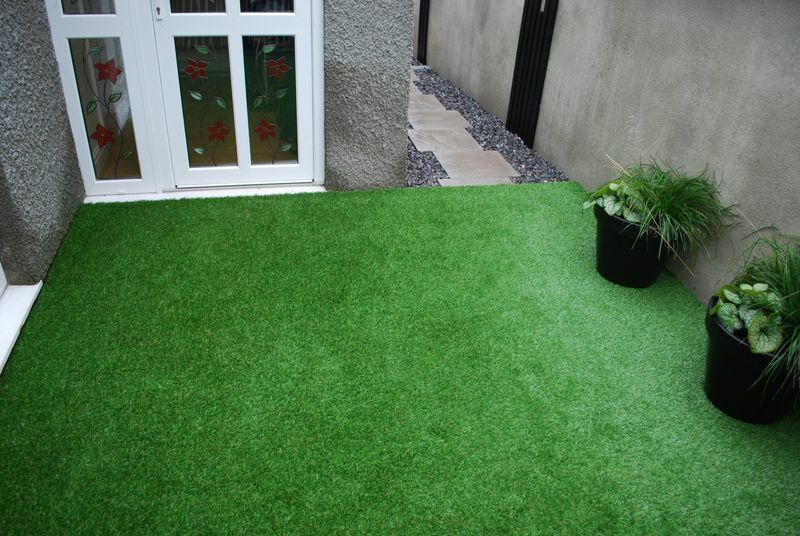 * With it’s tightly curled base and long straight fibres the 4 coloured turf gives a very natural and soft feel Safety play areas to act as a shock pad “critical fall height regulations” If required we would install a shock pad membrane based upon the clients requirements. 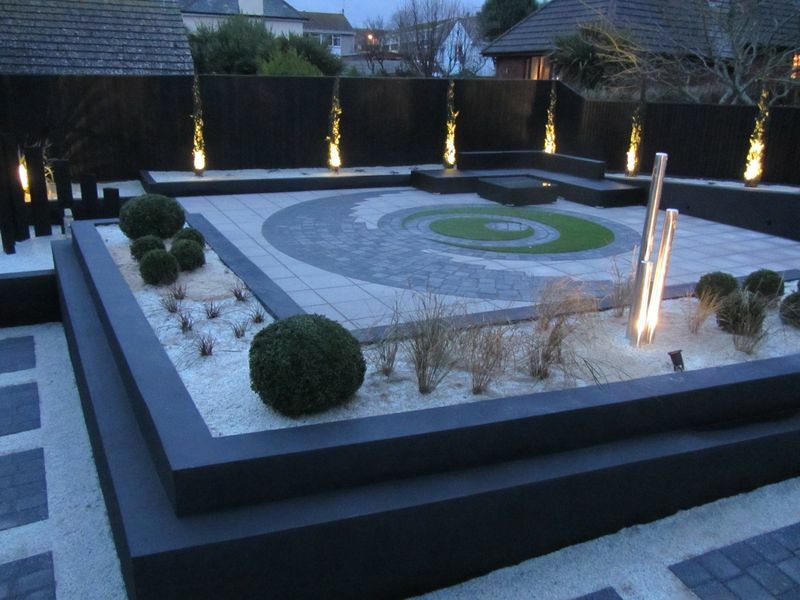 Our ability to manage larger orders for some of the Southwest developments also means that we can supply Fake Lawns from our suppliers to our site, saving money and keeping your project on budget and on time. No critical fall height shock pad depth 18mm 1.3m 25mm 1.6m 35mm 2.5m 45mm. The shock pads are supplied in 1 X 2M packs and cost varies depending upon the depth and area to be covered this also takes into consideration the additional soil to be removed. 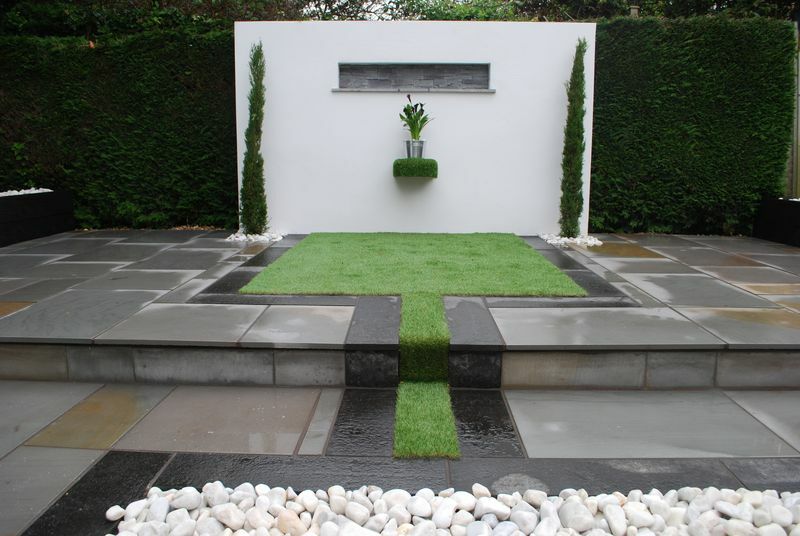 To make your life easier when planning the size of the area you require to install your new lawn, why not download this easy to use lawn planner, once completed with your diamensions I can arrange for a quotation of the product with installation. 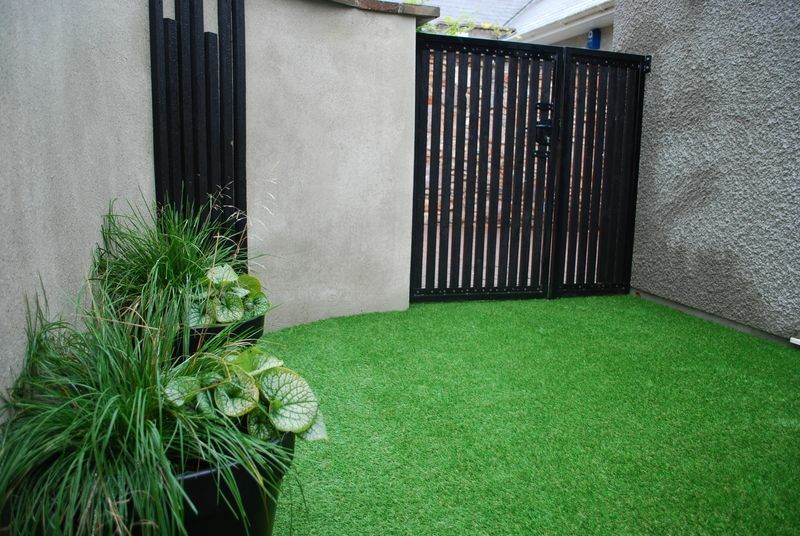 Maintenance requirements Whilst no artificial grass is 100% maintenance free and will require a small amount of maintenance. We recommend lawns to be brushed or blowed on a as required basis to clear off any debris such as fallen leaves. Lawns that are classed as sand filled will require topping up with kiln dry sand on a regular basis for heavy traffic areas to avoid pile crushing and on light traffic areas annually. Should you have any questions regarding the installation, price or duribilty of our quality design and installation of the product please do not hestiate to contact me 01626 332533 for a free no obligation quote which will be tailored to your unique requirements. 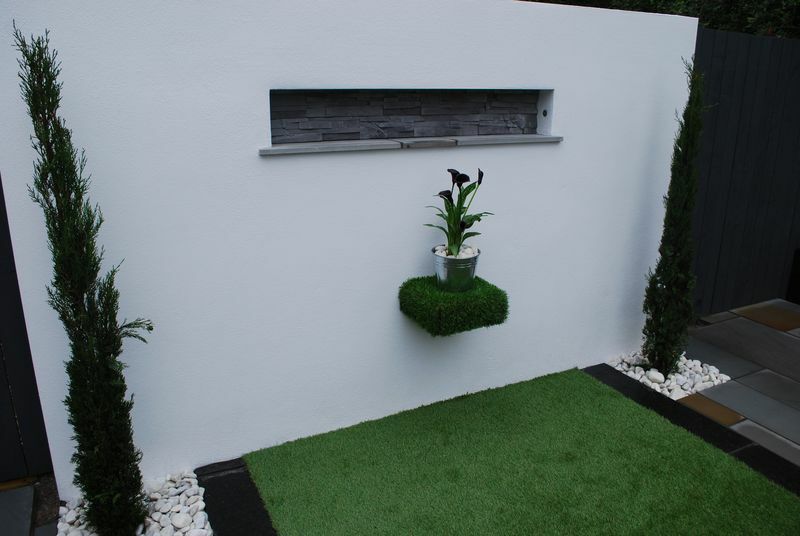 We look forward to working with you and providing you with our quality design and installation service.